Castlebar - County Mayo - 2013 Choral Festival - Something to Sing About! As the sun was rising over Lough Lannagh, Castlebar on Sunday morning, over 150 people gathered at the lakeside to take part in the final event of the 2nd Mayo International Choral Festival - they sang their hearts out to welcome a new day and to celebrate the success of the festival. Some were just straight out of bed, others were on the way home from festival celebrations that carried on into the small hours. 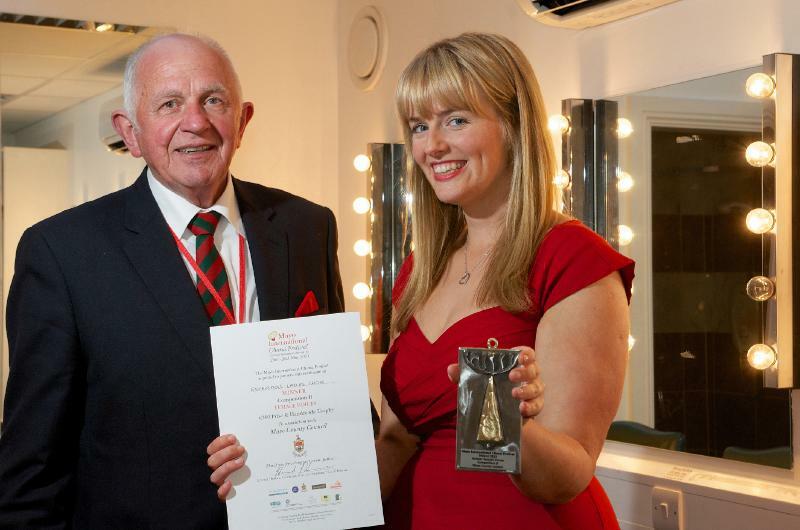 Edward Horkan, Festival Chairman, and Elizabeth Kelly, conductor of the Enchiriadis Ladies Choir who won first prize in the Female Voice competition at the Mayo International Choral Festival. Congrats also to Ballina Chamber Choir, who won second place. Prizes sponsored by Mayo County Council. For more details on the competition winners please visit www.mayochoral.com. Photo Alison Laredo. The dawn chorus marked the close of the 4-day event at which just over 1100 singers and guests took part in concerts, competitions, street performances and tours of Mayo. 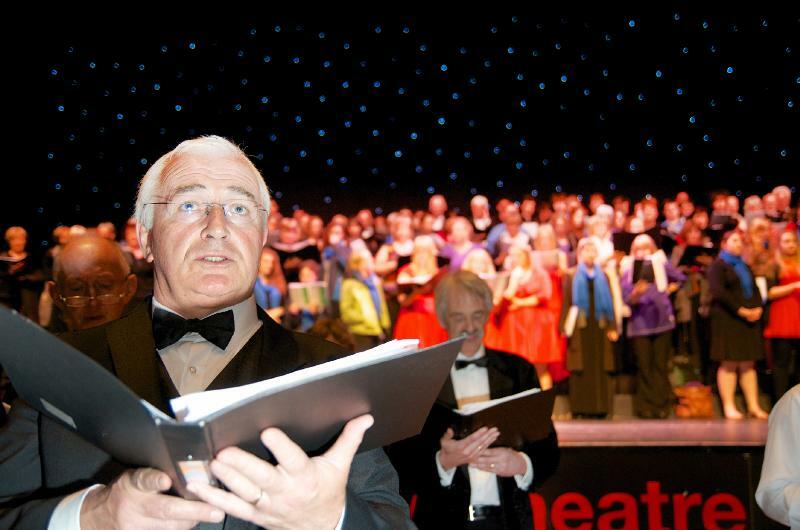 The festival programme was launched two weeks earlier, by the UK's Reading Male Voice Choir. The variety of musical genres was a pleasant surprise to audiences and they were treated to jazz, pop, folk, barbershop, sacred and Gaelic and Celtic. With 44 choirs taking part, the organisers were delighted with the success of the event, supported by Failte Ireland and Mayo County Council. Concerts were held in Ballina, Ballinrobe, Ballintubber, Castlebar, Killala, Newport, Swinford and Westport, with the aim of allowing visiting choirs to perform and mix with local choirs and audiences. The Gala Choral Concert at the Royal Theatre was a fantastic event with the majority of prize-winning choirs performing, and, when the curtain went up for the last two songs, the audience were treated to a choir of over 500 members, conducted by David Brophy, conductor of the RTE Concert Orchestra. Anna Ní Chárthaigh, Gnó Mhaigh Eo urraitheoir an chomórtais don Amhrán is Fearr trí Ghaeilge nó i dTeanga Cheilteach in éineacht le Aled Edwards, Stiúrthóir Ceoil le Cór na bhFear Breatnach “Cantorion Colin Jones” comhbhuaiteoir an chomórtais. Ba é an cór "Cantairí Avondale" an comhbhuaiteoir eile. Téigh chuig www.mayochoral.com le tuilleadh eolais a léamh faoi bhuaiteoirí Chórfhéile Idirnáisiunta Mhaigh Eo. Grianghraif Alison Laredo Anna Ní Chárthaigh of Gnó Mhaigh Eo (competition sponsors) and Aled Edwards, Musical Director of the Welsh Male Voice choir Cantorion Colin Jones, joint winners of the Gaelic / Celtic Language Competition. The other joint winning choir was Cantairí Avondale. For more details on the competition winners please visit www.mayochoral.com. Photo Alison Laredo. This year the organisers were taken aback by the large attendance at the competitions, which were open to the public. The Male Voice choir, Cantorian Colin Jones from Wales received a standing ovation at the GMIT in Castlebar at the Premier Competition adjudication, but it was the visitors from the USA, The University of New Hampshire Concert Choir that scooped the first prize. And what a performance, under the baton of Musical Director, William Kempster. The festival director, Declan Durcan commented that the hard work and foundation put in over that last three years by a dedicated committee, alongside the support from all choirs in Mayo, community groups, volunteers and sponsors, has made this a success and raised the standards from last year in every respect. 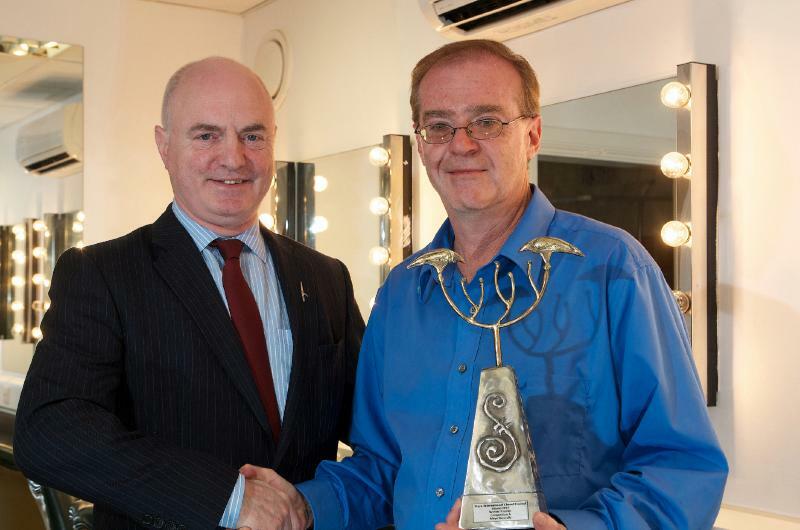 Peter Hynes, County Manager, Mayo County Council (left), presents the hand-crafted trophy to William Kempster, Musical Director of the University of New Hampshire Concert Choir Touring Ensemble, winners of the Premier Competition at the Mayo International Choral Festival. Prize sponsored by Mayo Naturally. For more details on the competition winners please visit www.mayochoral.com. Photo Alison Laredo. The festival, the brain-child of Edward Horkan, received much praise from visitors who commented that it was at a level comparable to other festivals established for years. What impressed the visitors most, in addition to the high level of organization and the high standard of singing, was the friendliness of the people. 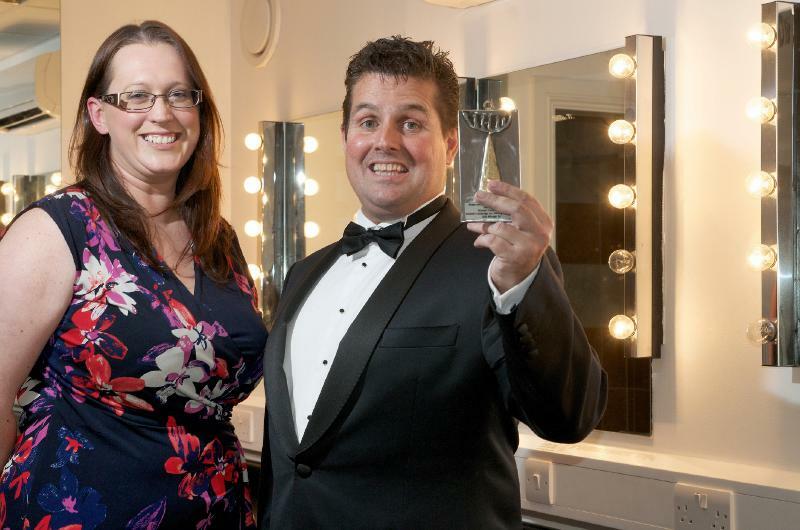 Said festival Chairman Edward Horkan - "the festival proved very popular again this year and I am very proud of it. We will continue with the winning formula for next year, adding some new surprise elements! Already we have two choirs from the US, two from England and one from Scotland penciled in - and four choirs for 2015. All this is very encouraging, and all down to the hard work of the committee, support from Mayo choirs and volunteers, and our main sponsors Failte Ireland and Mayo County Council. It is heartwarming to see the amount of good will that has been generated by this festival". He added that "the flood of emails, Tweets and Facebook posts from our visitors all with positive comments have been, to say the least, humbling. We are already looking forward to 2014! Sincere thanks to the businesses around Mayo who put up flags and bunting outside their premises over the weekend and I know many have directly benefited by doing so." Hitting the high notes at the Gala Choral Concert at the Mayo International Choral Festival 2013, as part of the 500-strong massed choir, in the Royal Theatre, Castlebar. For more details on the competition winners please visit www.mayochoral.com. Photo Alison Laredo.